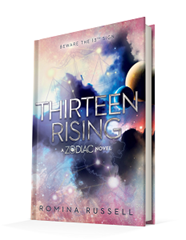 Published August 29, 2017 by Razorbill Thirteen Rising by Romina Russell is the fourth and final book in her epic sci-fi fantasy Zodiac series. What an amazing finale. The villain has been revealed the final battle for the safety of the universe is at Rho’s feet, and everyone is finally rallying behind her, they are finally believing her. But so much has happened to Rho, so much has broken her, and this pain, she uses it to manipulate, to lie, to hurt those around her. She is a harder character now, which is completely different that in the previous novels. 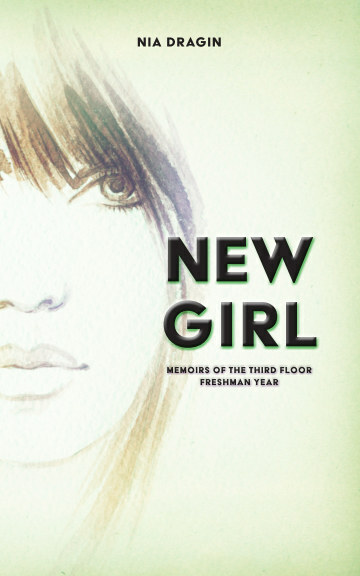 Everything she has gone through, readers finally get to see how much of a toll it has taken on her. This is the novel that shows just how human Rho is, that her sadness and heartbreak threatens to drown and destroy her if she lets it. And while she is a harder character, a broken character, Rho still has the strength to find a way to save those around her. That is her only goal at this point, to die trying to save the universe, to bring unity back to the galaxy. Despite everything she has suffered, her keeping her heart hard as ice, it’s the only think keeping her from drowning, the only thing that is making sure that she has the strength to keep what’s left of her friends safe. It’s a powerful story about perseverance, about dealing with grief in various ways, about the effect grief and guilt can way in on a person. And through Rho the story develops with a sharp edge. It’s action packed and character driven novel that takes a hard look and everything that has happened with all the characters. All the characters have gone through seismic shifts discovering deeper truths to the world around them as well as themselves. Rho isn’t the only character to change so drastically, they all have, and it creates such wonderful tension for the story, evolving the character dynamics. As a finale, this novel is dynamic. It brings together everything that happened in all the previous novels, all the tension and drama wraps together perfectly. Everything these characters have gone through comes to light reflecting such depth onto their personalities. At the end of the day while this is a science fiction novel wrapped with fantasy and action, it’s still a character driven novel.